The island paradise of Soneva Gili by Six Senses has taken the title of World’s Leading Villa Resort & Spa at the prestigious World Travel Awards. The resort triumphed over some of the finest properties from around the globe earlier this year during a fiercely contested battle at the WTA Grand Final in Qatar. Some 200,000 votes were tallied during the course of the annual event, with only those organisations deemed to have redefined expectations walking away with a trophy. Soneva Gili is a short boat ride from Malé International Airport in the Malé Atoll; a tiny coral island in a sparkling lagoon, with jetties threading across the shallow waters out to over-sized villas. The 44 stilted accommodations, plus the vast private reserve, continue the Soneva philosophy of Intelligent Luxury. They are crafted from renewable forest timber and natural materials, and offer spacious, private roof-top and over-water sundecks. Many over-water sundecks offer a clear, glass table for guests, as they dine, to view the abundance of marine life. Every room of the over-water villas and residences has spectacular views out to the ocean. A walkway from the open-air bathroom leads through a water-garden to a glassed, circular shower. Sumptuous daybeds compliment the rustic chic interiors and all villas feature an entertainment center and a host of creature comforts. Several villas feature private Spa Suites. For the ultimate privacy, seven Crusoe Residences are only accessible by personal boat and are attended by ‘Mr & Ms Fridays’. Guests are welcomed ashore for some great dining and equally great wines from the Gourmet Cellar. A romantic moonlit dinner can be delivered right to the villa, or how about a sunset champagne cruise on a traditional dhoni? Memorable guest experiences are paramount at Soneva Gili. The Six Senses Spa offers everything expected, and some things unexpected; glass floor-panels beneath massage tables heighten the sensual experience, while a Maldivian sand massage presents yet another new encounter. 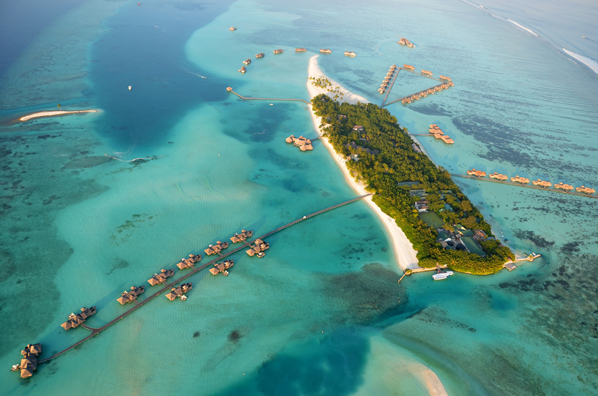 The Maldives is a paradise for snorkeling and diving and the resort has its own fully-equipped PADI diving school plus a variety of water activities. Soneva Gili is managed by Six Senses Resorts and Spas, who have developed and operate unique properties in the Maldives, Oman, Thailand, Vietnam and Jordan under the brand names Soneva by Six Senses, Six Senses and Evason, plus Six Senses Spas and Six Senses Sanctuary. The Six Senses team has positioned Soneva Gili to incorporate the same brand values and personal service promised in the Six Senses Core Purpose: To create innovative and enlightening experiences that rejuvenate our guests’ love of the ‘slow life’.